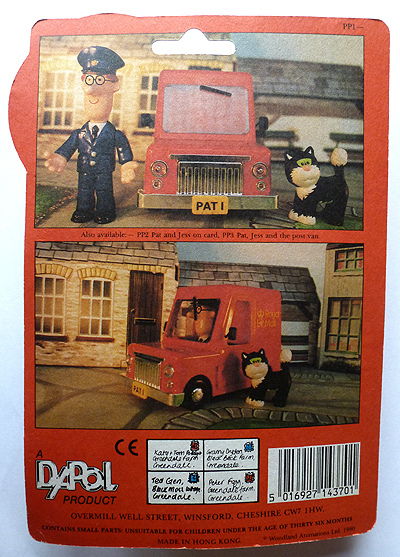 In the 1990’s Dapol, better known for model railway toys and their Doctor Who figures, released a version of Postman Pat. 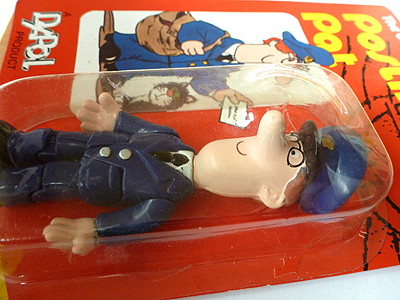 The Dapol Postman Pat toy was an articulated action figure in a blister pack on a printed card headed ‘The Original Postman Pat’. 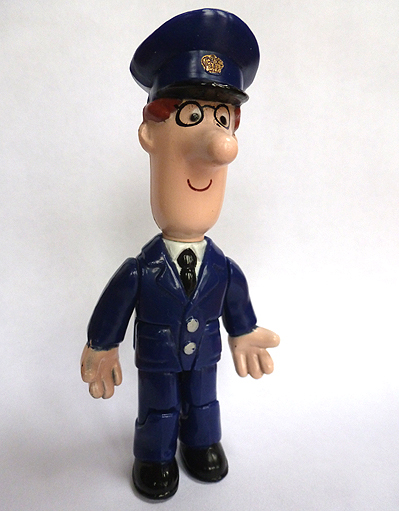 Dapol gave Pat silver buttons on a royal navy jacket which did make him look more like PC Selby, still the figure was a big advance over some of its bendy, squeaky and solid rubber predecessors. 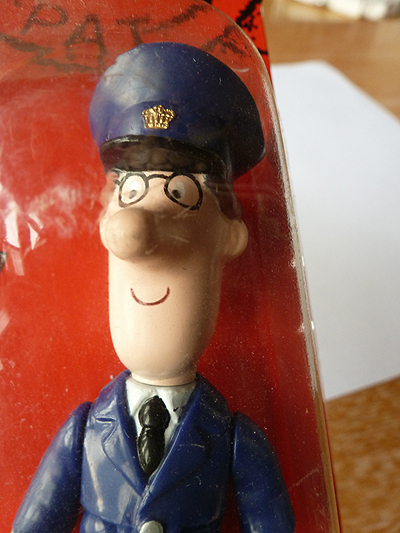 Given its accurate detailing, decent paintwork and superior articulation, you could argue this is actually the best ever Postman Pat figure. The Dapol factory was destroyed by fire in 1994 and the company ceased trading. 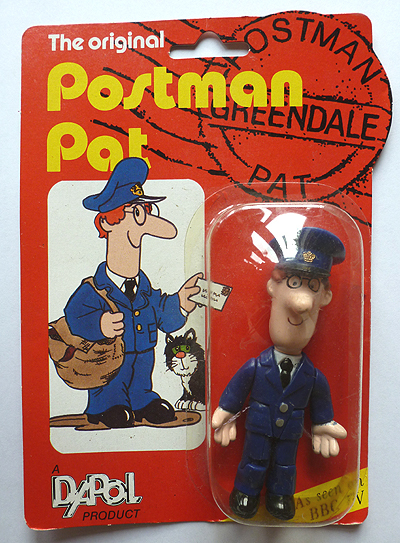 The Dapol Postman Pat figure was produced from 1990 so the production run may have been relatively short.